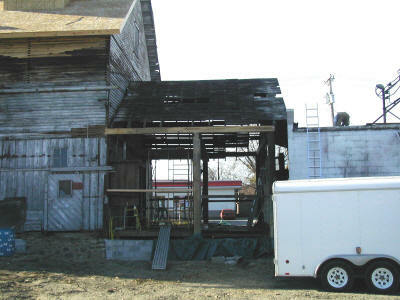 Most of the side walls on the backroom were pretty well rotted out and had to be replaced. 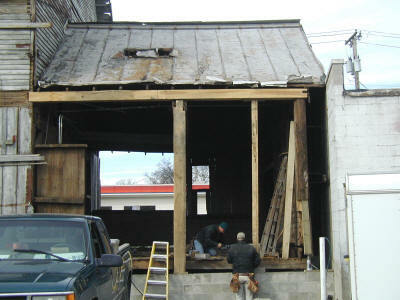 The beam along the roofline was rotted and was replaced. The support beam in the middle of the wall was also replaced. 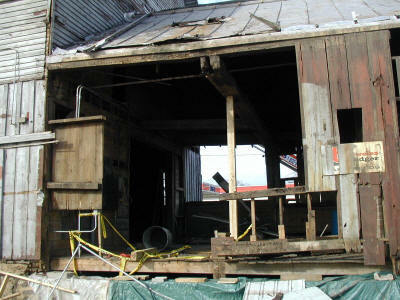 The old metal roof was torn off down to the old decking. 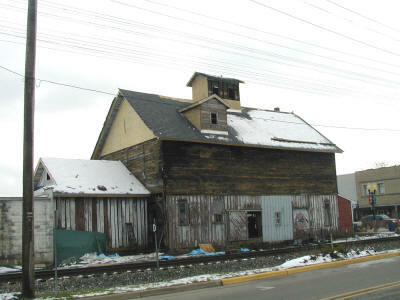 The same roof system on the main building was used on the backroom. Old siding boards were used on the west wall of the backroom. Windows were added later. 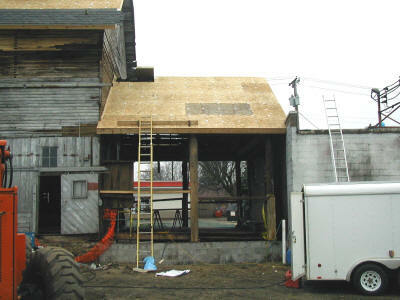 Our milled rough cut lumber was used on the east side.